TPO staff talking with the men and women of Chi Kraeng about the links between mental health and the well-being of the entire community. Cambodian communities remain overwhelmingly plagued by violence, in particular violence against women and children. 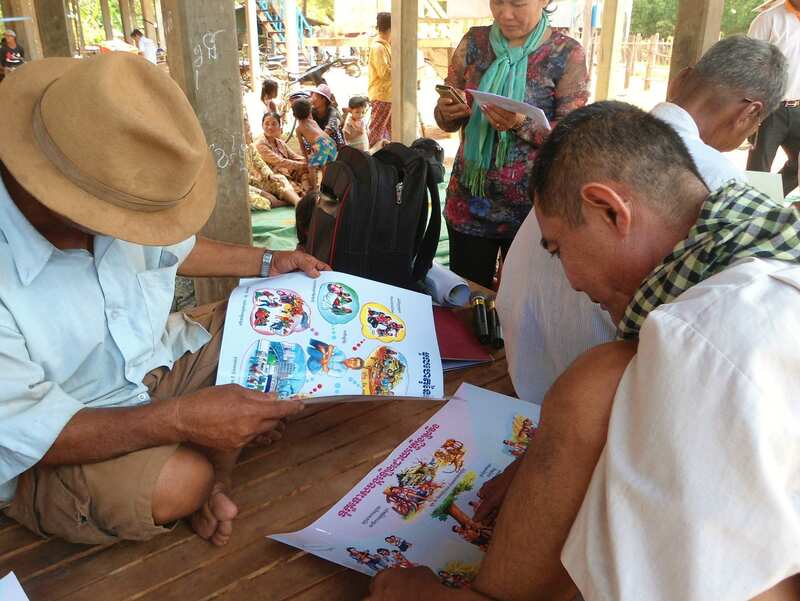 The community of Chi Kraeng, in Siem Reap province, is in many ways typical of communities across Cambodia: violence against women and children is rife and demands immediate attention. 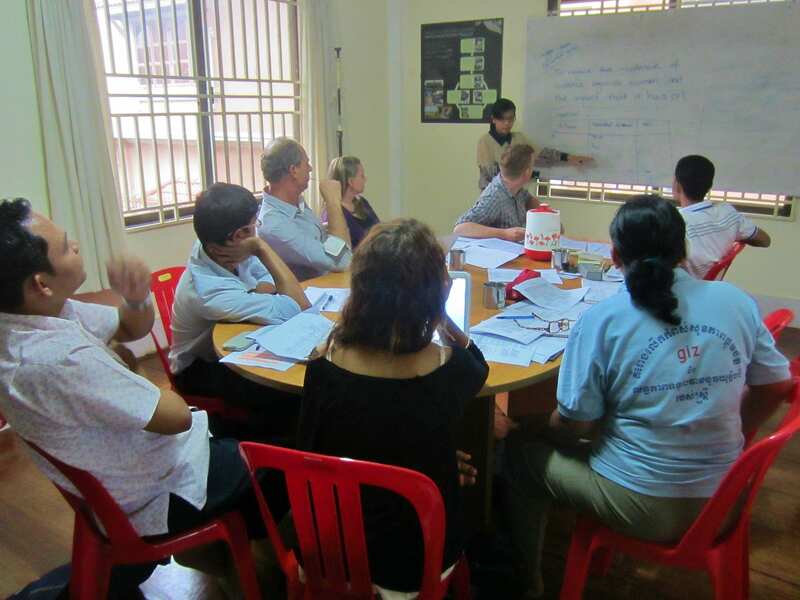 A joint feasibility study by TPO Cambodia, This Life Cambodia (TLC) and Investing in Children and their Societies (ICS) has revealed an urgent need in this community for support in addressing the issue. 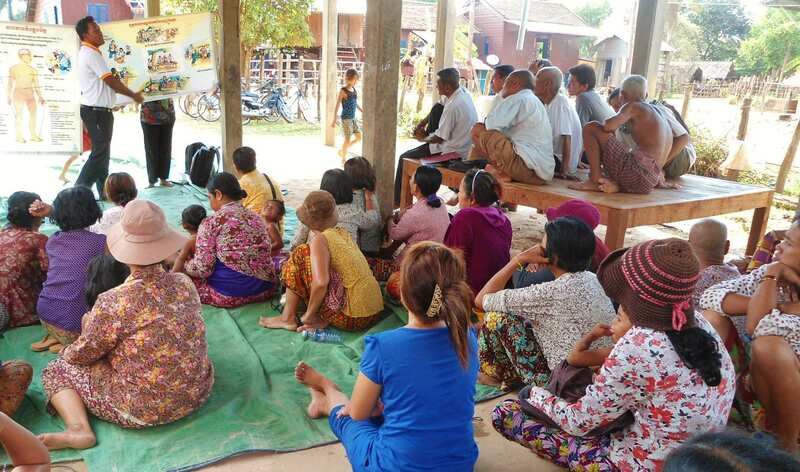 Another study, measuring community views on the issue of Violence Against Women in Chi Kraeng, done by TLC and ICS in 2014, showed that the issue of violence against women is of serious concern to the community itself. Together with This Life Cambodia (TLC) and Investing in Children and their Society (ICS), we are running this program to assist the community in addressing this issue and building local capacity in terms of Community Responses to Violence Against Women. Chi Kraeng’s women who are experiencing domestic violence and their families. Together with the members of the community, the three project partners (TPO, ICS and TLC) aim to address gender inequality, develop more positive and non-violent family relationships and increase the accessibility and availability of health care services. TPO’s specific role in this 2014–2015 pilot program is to improve the mental well-being of survivors of gender-based violence through psychological support. In collaboration with our project partners, we are also contributing to improving the living conditions of the families of survivors of gender-based violence by facilitating appropriate support. Chi Kraeng locals learning from TPO about the causes and effects of ill mental health. Through psycho-social education, we raise community awareness about mental health issues, psychosocial problems, and the causes and effects of violence. We identify and train Community Resource People in basic mental health care. Together with the Community Resource People, we form and run self-help groups for survivors of gender-based violence and community members with a drinking problem. For those who need extra help or individual attention, either within or outside the self-help group, TPO provides psychosocial counseling. We work on establishing effective referral mechanisms with other organizations so that support for female survivors of gender-based violence is maximized. Finally, through closely collaborating with NGO partners, we will also ensure that the living conditions of the families of survivors of gender-based violence are enhanced by providing appropriate support, for instance encouraging the establishment of saving groups as a means of income generating support. To do all this properly, we have set up an office for our team in the community. Donor ICS and project partners TLC and TPO work closely together to have the most effective and lasting impact in Chi Kraeng.